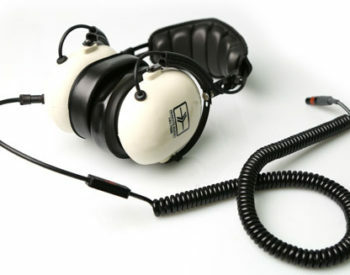 “Headphone” refers to a device worn on the head, containing small speakers for listening only. “Headset” refers to a device worn on the head, containing small speakers for listening, and a small microphone for talking. Remote Audio’s new Headset Cable transforms any headphone to a headset by adding a miniature electric microphone for slating and talk-back right in the cable. 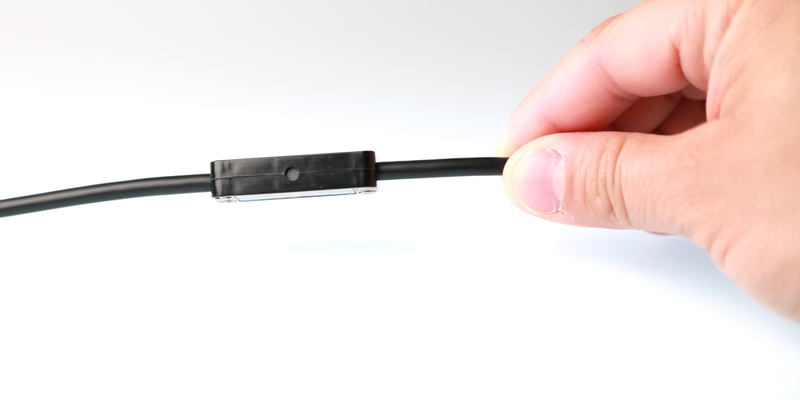 The Headset Cable is not unlike the earbuds used with smart phones, but with three important differences: It is robust and repairable, and with the quick connect option, it is instantly replaceable. Before our Headset Cable, the options were to use a mixer’s built-in mic, or use a mini boom mic mounted on the headphone. The built-in mic is too far away, especially in noisy environments, and some are annoyed by a headset mic right in front of their mouth. The Remote Audio Headset Cable solves both of these problems by positioning the mic close to the mouth, but being part of the cable, you forget that it’s even there. 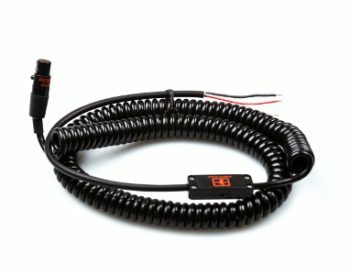 The cable is available in coiled or straight versions. Let’s say you are at your cart where you are using a long straight cable, but then you have to go portable with your bag rig where you prefer a coiled cable. 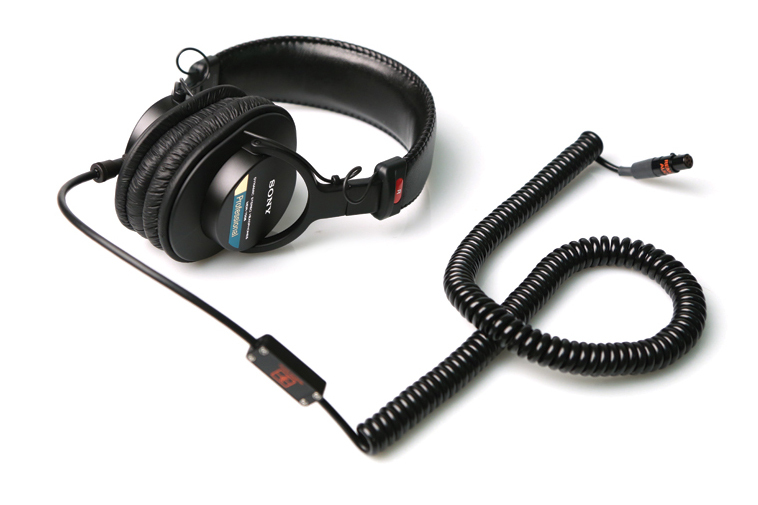 With the quick connect option, simply disconnect the straight cable from the headphones and attach the coiled cable. 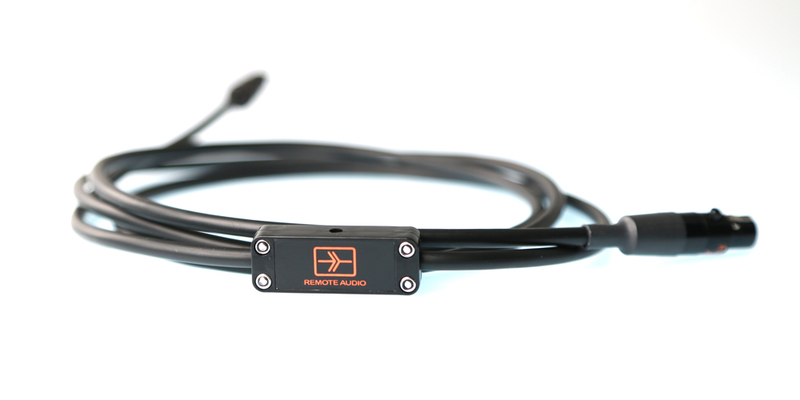 Each headset cable terminates to a 5-pin mini XLR connector (TA5F) and is then adapted to whatever you need. For example, a common adapter for Sound Devices and Zaxcom users is a fanout with a ¼” TRS for monitoring, and a 1/8 TRS” for slating. Sonosax SXST mixer users will want the adapter for their 6-pin Binder connector. 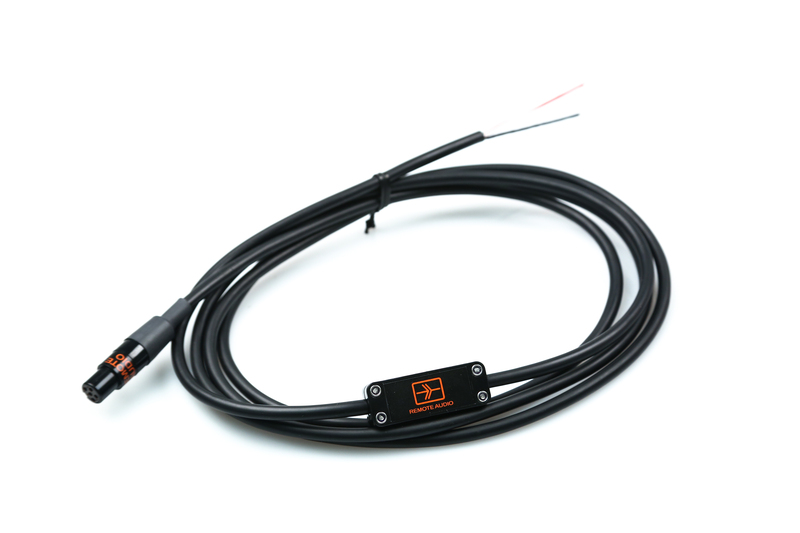 Another popular adapter fanout will have a ¼” for monitoring and a TA5 for talking back into a Lectrosonics transmitter. Aaton Cantar X3 users will probably want the adapter to a single 1/8” TRRS connector to take advantage of the Cantar X3 “smartphone-like” connector for monitoring and slating. In fact, with this same adapter you can use your new headset for conversations on your smart phone. 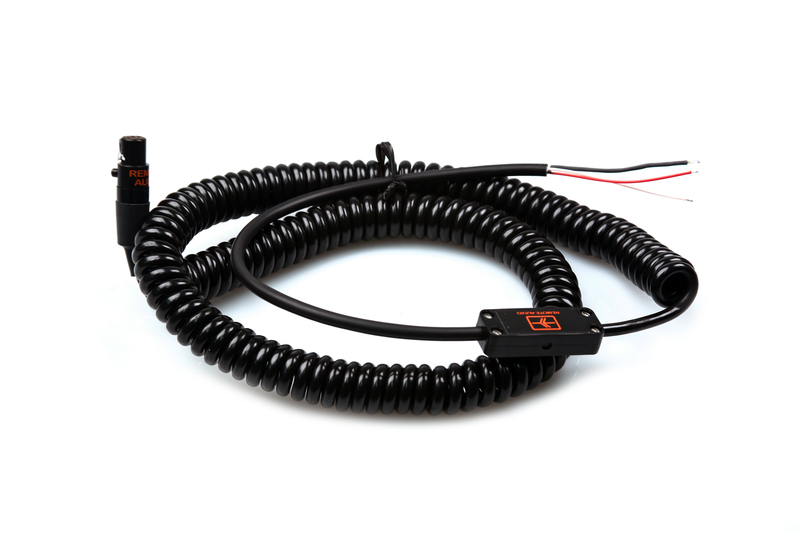 The wire used in both the straight and coiled cables are specially made to Remote Audio’s specification using three conductors for stereo monitoring and a shielded conductor for the microphone. 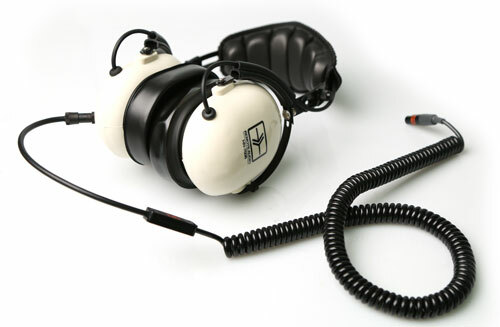 We’ve used them for years on our headsets, and they have proven to be very tough. In fact, this cable is a great improvement over the standard cable for the rigors of production sound. 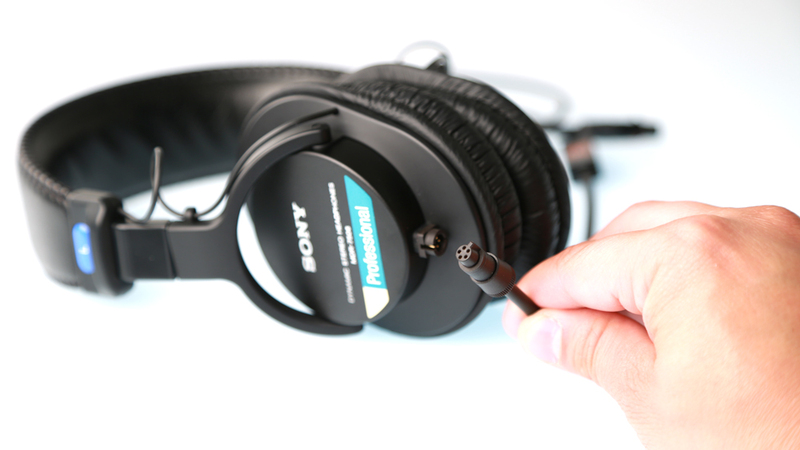 The Headset Cable can be purchased preinstalled onto new Sony MDR-7506 or new Remote Audio HN-7506 headphones. 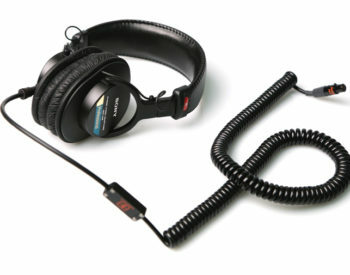 Or, the Headset Cable can be purchased as a kit to be self installed by the customer onto their own headphones. 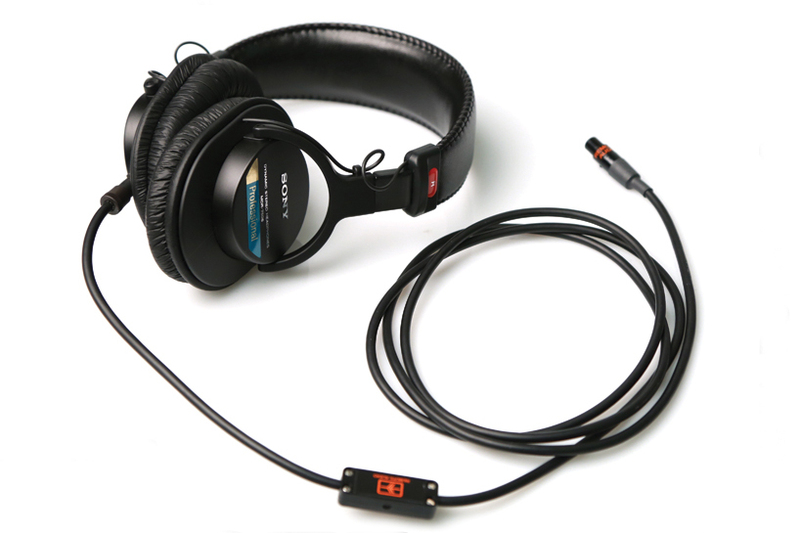 BCSHSEHS – Modified Sony MDR-7506 with electret Headset Cable w/straight cable. Quick release 5-pin female binder to TA5F. 6ft straight cable. 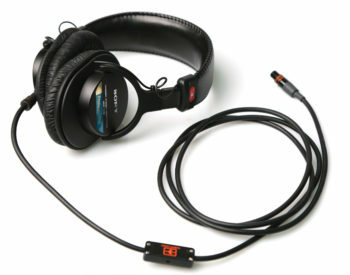 BCSHSEHC – Modified Sony MDR-7506 with electret Headset Cable w/coiled cable. Quick release 5-pin female binder to TA5F. 2ft – 7ft coiled cable. HN7506EHS – Modified HN7506 headphones with electret Headset Cable w/straight cable. Quick release 5-pin female binder to TA5F. 6ft straight cable. 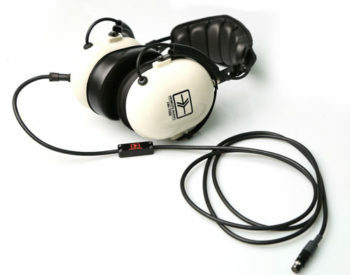 HN7506EHC – Modified HN7506 headphones with electret Headset Cable w/coiled cable. Quick release 5-pin female binder to TA5F. 2ft – 7ft coiled cable. 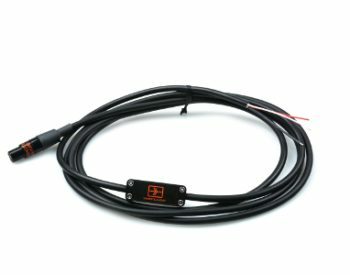 BCSHSCEC – Replacement Headset Cable with electret mic. 5-pin female binder to TA5F. 2ft – 7ft coiled cable. 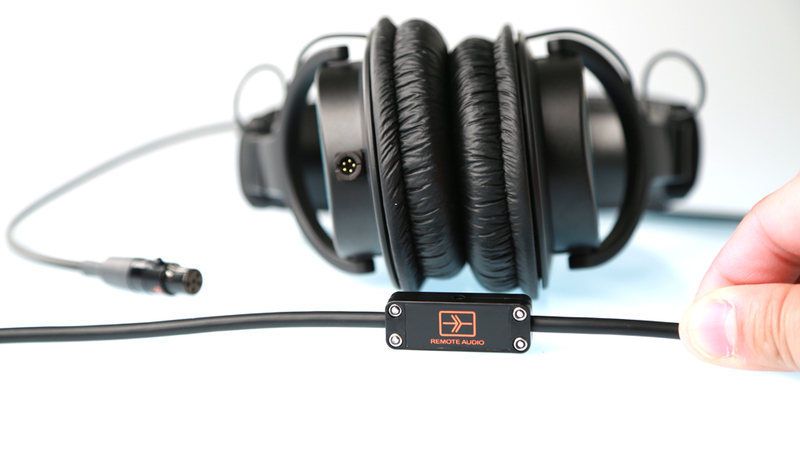 BCSHSECK – Kit to hard-wire the Headset Cable w/coiled cable onto an existing headset. 2ft – 7ft coiled cable.